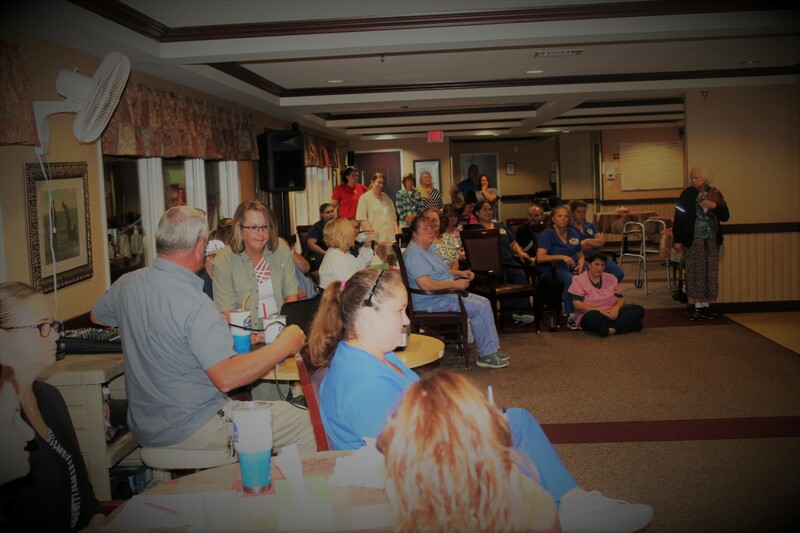 At Mount Hope, we strive to schedule a wide variety of events that are fun for our residents while offering them the social, mental and physical stimulation and engagement necessary for their health and overall well-being. 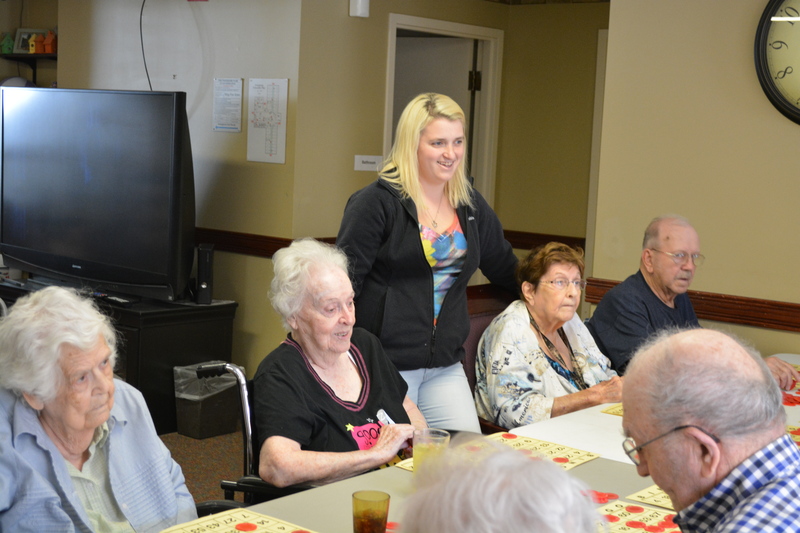 “I choose activities based on a combination of residents’ preferences and hands-on projects that all residents can enjoy,” said Activities Director Michaela Wahl. 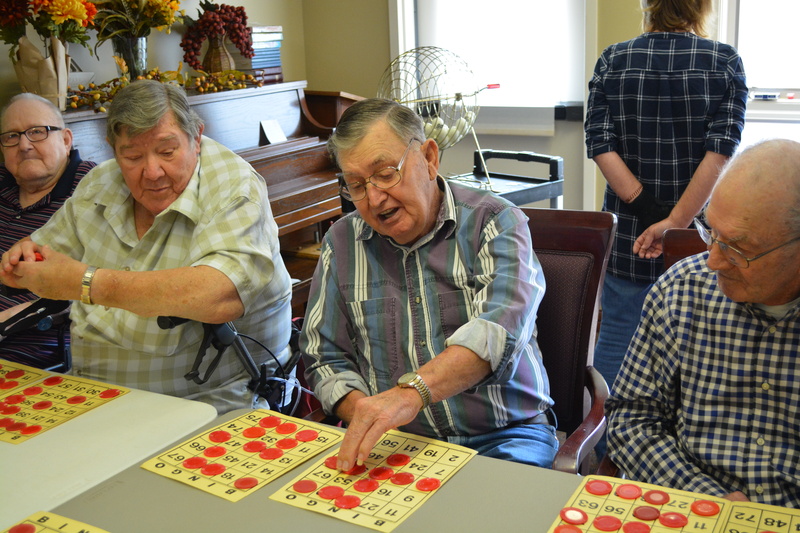 Among the many activities and events that happen here at Mount Hope is, of course, bingo. 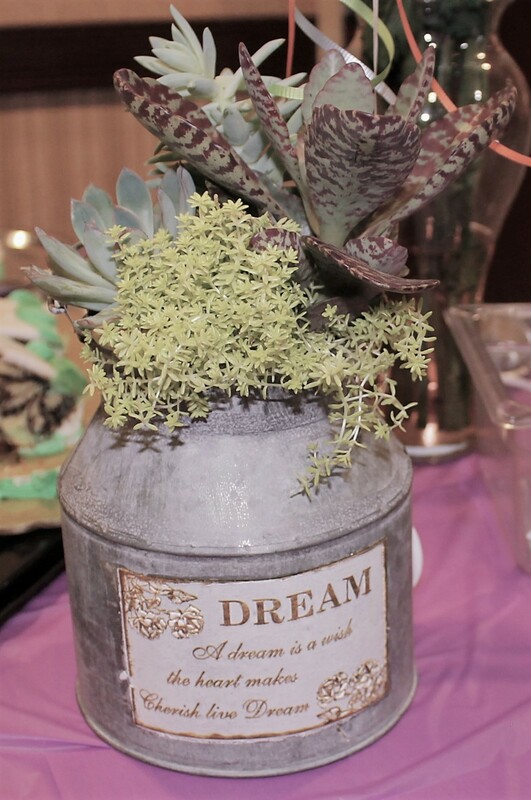 It’s a favorite amongst our residents! Multiple times a week, we host regular Bingo games for them to enjoy. 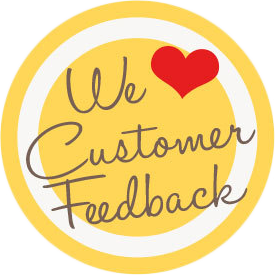 It’s a great method of fostering a happy community for everyone who lives and works here. Wahl and a few volunteers call numbers and help the residents as needed, though they’re pretty good at helping each other. It’s not uncommon to see residents helping those seated around them to make sure that they’ve covered their squares! 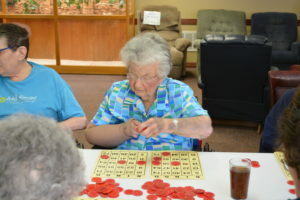 The games really do add a sparkle to the resident’s days, and if the chips fall in their favor, then they can win a few prizes, including candy bars, snacks, and other small gifts. 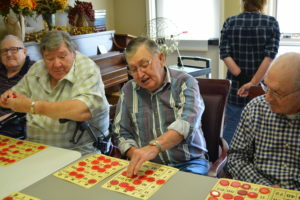 These games are also open to all family members of the residents, so check out our event schedule, and join in the fun and play or sit and assist your loved one. 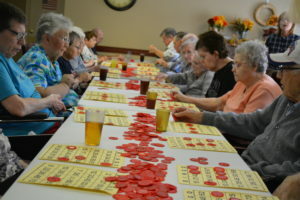 Below you’ll find a collection of pictures from a recent bingo game. 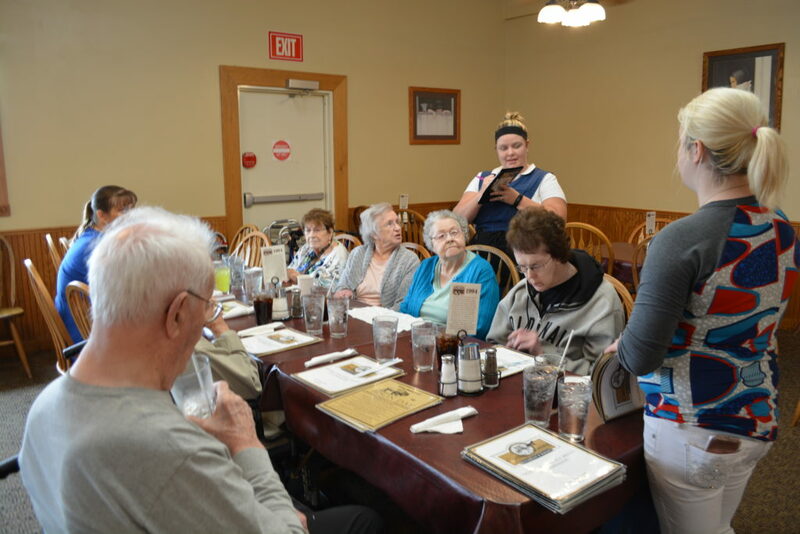 Mount Hope Nursing Center also treats residents to a delicious, homegrown meal at Carriage Crossing in Yoder, Kansas, about 20 minutes away from the facility. This monthly outing allows residents to take a brief trip outside Mount Hope, bond with other residents and enjoy a nice, restaurant meal. 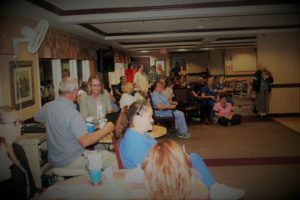 Mount Hope staff members also attend, helping to take and place orders, cut up food, and create a great experience for the residents. 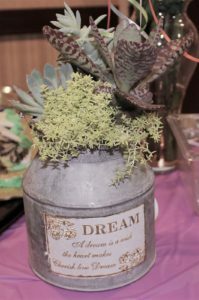 Though many residents like to visit their families over the holidays, Mount Hope Nursing Center is known throughout the community for its spectacular Holiday events. 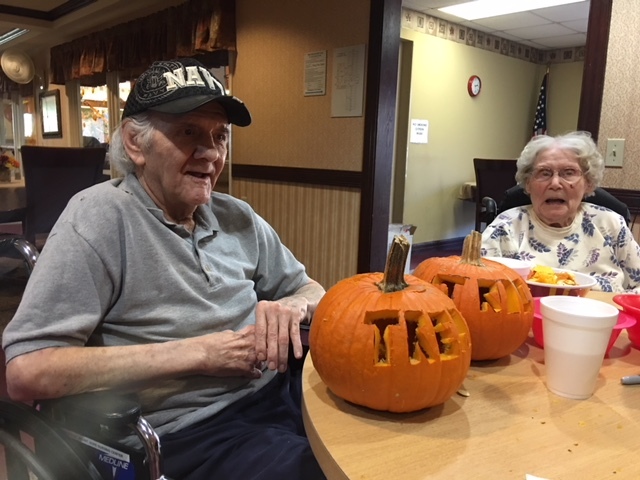 From pumpkin carving and costume parades, to Easter egg hunts, Mount Hope and its residents sure know how to celebrate! “We want out residents not only to be social, but also to have fun and enjoy each other’s company. 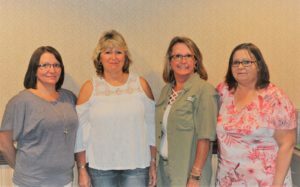 We work hard to offer a variety of activities that appeal to each of our residents,” said Administrator Gina Terry. 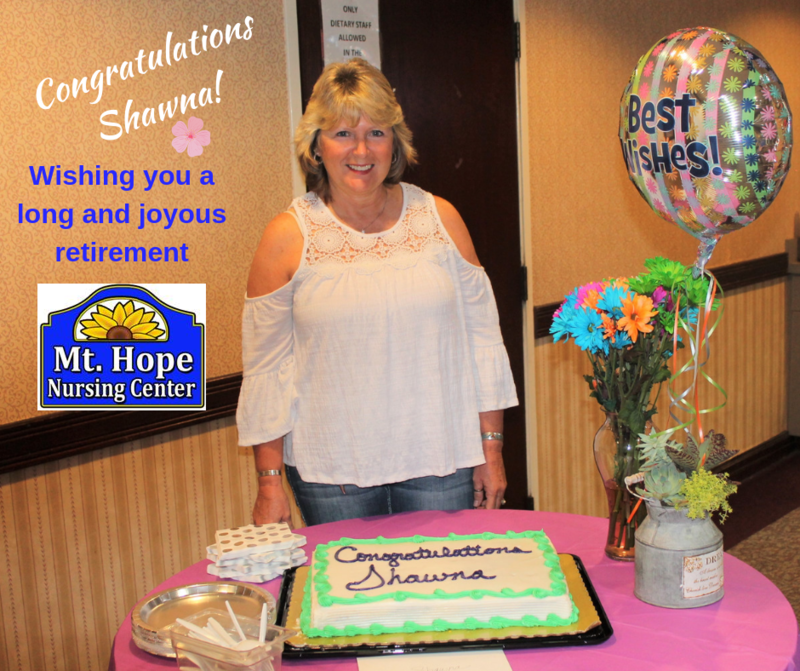 After 19 wonderful years, Mount Hope said goodbye to one of our beloved nurses, Shawna. Her retirement reception was great fun all around, but we’re sad to see her go!